Hers is made of Teflon. In the two years since Donald, 71, threw his red hat in the presidential ring, the 47-year-old businesswoman has been knocked for everything from her racy modeling shots to her European accept. 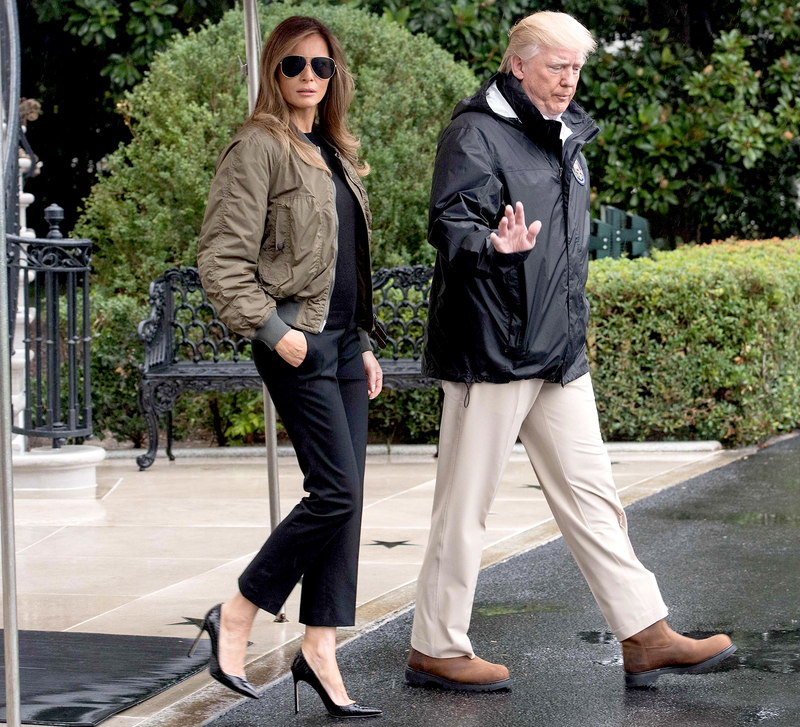 Her latest perceived misstep: wearing four-inch Manolo Blahnik stilettos when she boarded a Texas-bound Air Force One August 29 to join Donald on a visit with those affected by Hurricane Harvey. Melania is focusing on the big picture. During their trip to Corpus Christi, Texas — 200 miles southwest of Houston — the sneaker-clad star joined her husband in briefings with Texas Governor Greg Abbot, FEMA administrator William Long and representatives from the U.S. Coast Guard the the Red Cross. “This has been a really eye-opening experience for her as first lady,” her communications director Stephanie Grisham tells Us. One she was eager to repeat. Four days after her heel hubbub, Melania returned to Texas to talk with storm survivors. For more on how Melania’s handling her new role, pick up the new issue of Us Weekly, on stands now!